"We don't want to give it away" Fortunately Short Sale Sellers want to sell it - regardless of price. They just want out from under the financial situation and to avoid foreclosure! If I go to another listing appointment and hear from another seller, "I don't have to sell" or "I'm not going to give it away" I think I'll have a coronary! "I don't have to sell" .... Then why the (insert imagination) am I here? Why have I wasted half my day putting together a listing presentation, pulling and analyzing comparable sales and wrapping a tie around my neck to find out that you don't actually have a problem that I can help you solve. Also, if you didn't have to sell this property why have you had it on the market with 3 other real estate companies for 6 months, 12 months and 18 months? If you don't have to sell, don't put it on the market. All you are accomplishing is adding to the oversupply problem and driving down prices for sellers that do need to sell. "We don't want to give it away"..... I don't want you to give it away either! But the market is what the market is. If you think we are going to find some idiot that drops in the neighborhood from outer space that is willing to pay you more than market value you have a loooooooooong wait ahead of you. We have a very aggressive marketing plan and we do everything we can to bring as many buyers to see your home as possible. However, our plan has one flaw.....it only exposes your property to those prospective buyers in the general vicinity of PLANET EARTH! Even Donald Trump can't sell a property for more than market value! In other words, if you have to sell your property I promise you it will only sell for what the current market will bring. You will not get what your neighbor got for his when he sold it last year...or even last quarter....even last month. Not today. So you think you'll rent it or just take it off the market until the market comes back. This is a great strategy! Tell me, when is the market going to come back? I think the consensus among a lot of folks is that when the market does come back it will snap back into place like a stretched rubber band. The fact is, when we do find the bottom of the market, it will stay flat for sometime and then gradually come back. I read an article in the May 6th edition of the Wall Street Journal indicating that once we do reach the bottom, it could take 15 years for home prices to get back to 2005 levels. Jacksonville sellers, I feel your pain, I really do. I currently own a rental property that I have on the market. In 2005 I could have sold it for $240,000 easy. I have it at $159,000 today and will be lowering the price again next week. I have only a few options at this point. 1. Take it off the market. 2. Rent it out again. 3. Lower the price until I get an offer. What I do know is that there are NO guarantees that the market will bring me more in the next few years. It's very likely that I will have to sell it for much less down the road. So I have a hard decision to make as do many sellers today, although they don't realize it. Do I take a hit now or chance taking a bigger hit later? 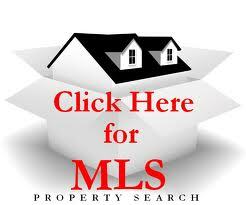 Want to know what your Jacksonville or Orange Park home is worth in todays market? New Year's Eve in November? Is The Year Over? You Have Got to Be Kidding! Agents Function This Way? Part 4 First Time Buyer's Guide: What Time Frame Can I Expect?